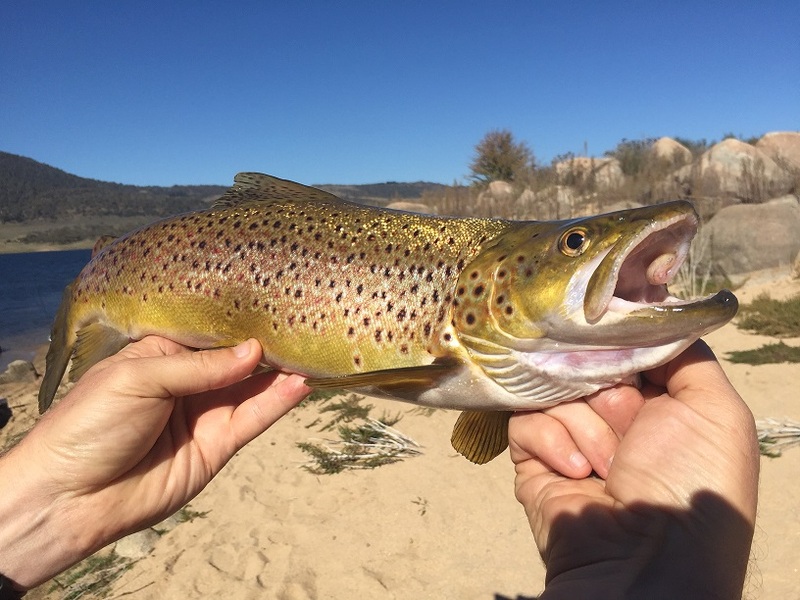 Eucumbene river is expecting rain this weekend so things are going as planned for the spawn run down at the mouth of the river fishing has been at it’s best with good numbers of brown being caught at large numbers from 4lb up to the 10lb, Most fishers have been fishing into the night with good results. Up along the river fishers are starting to see pods of fish but still a little spooky so two nymphs have been the flies to use down in the mouth of the river Woolly Buggers are the best. Over all the fishing up at the mouth has been great day and night just remember if you are fishing the lake takes care the banks are muddy and you're wearing waders one wrong move you could slip into deeper waters maybe a life jacket would be a good idea!!. Best wet flies are woolly buggers, Nymphs and Glow bugs. Jindabyne has been a little slow with few fish been seen so if we do get rain this weekend things should Improve once the rain comes down below the main bridge would be the best place to go. If you're heading up stream the diggings and ski tube has been fishing well with some good rainbows and browns up in Thredbo we have had some good reports down stream from the town. Best dry flies Red Tags, Wulff’s, Stimulators and Humpy’s. We still have plenty of time for the fish running up stream the day are early and the rain is yet to come things will improve. Hey mick got this brown at the dam wall on a small nymph in the afternoon. Lake Eucumbene is still dropping but the water temp is dropping as well this is making the fishing a lot better with some good results up around Providence at the mouth of the river most fish have been taking woolly buggers and nymphs. Down at frying pan things are picking up with the rainbows and browns again woolly buggers and nymphs, Over at middling bank the rainbows have been taking Mrs Simpson, woolly buggers, nymphs and Muddlers and at buckenderra things are a little slow on the fly, Over at Braemer the reports are picking up and it seems the rainbows are coming back with good reports all around the area. Overall the fly fishing has picked up in the last week and with the water temp dropping things should only get better. 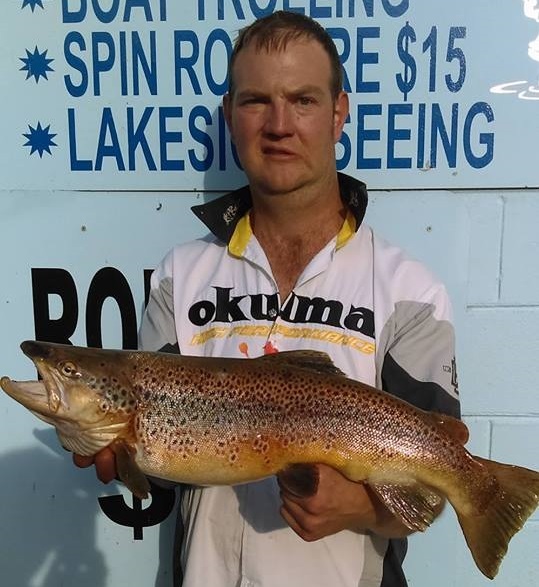 fishing at Jindy has been holding it's self really well in the last two weeks with some good reports coming from all over the lake with the rainbows and browns but most reports have been coming from kalkite, Curiosty bay, waste point and poo bay. Most fly fishers are throwing wet flies woolly buggers, Mrs Simpsons, Muddlers and Bushy Horrors. So if you are looking for some nice rainbows jindy is the place. 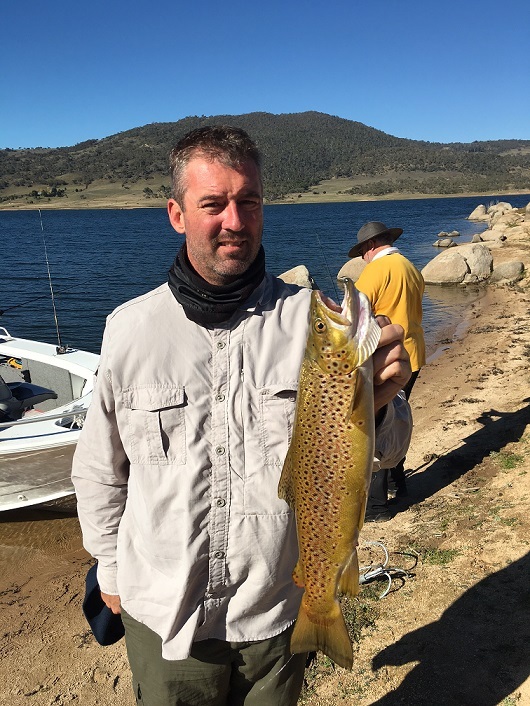 Just a quick note from our fishing trip to Jindabyne. 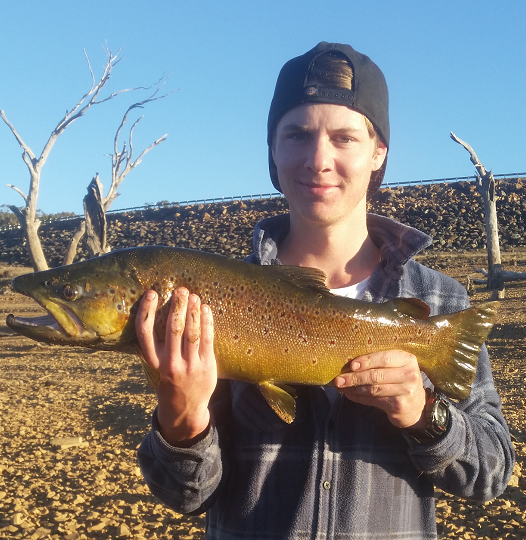 We trolled for 2 days mainly flat lining we picked up 4 rainbows and 2 Browns, our best fish was brown 1.5kg which we got on power bait up towards Kalkite end of the dam.